Is there a better alternative to Ice Cream Craze: Natural Hero? Is Ice Cream Craze: Natural Hero really the best app in Action category? Will Ice Cream Craze: Natural Hero work good on macOS 10.13.4? Ice Cream Craze: Natural Hero…Dr. Bane, a renowned super genius, has developed a line of ice cream made entirely of artificial chemicals. Determined to stop him, Anna decides to create her very own all-natural brand. 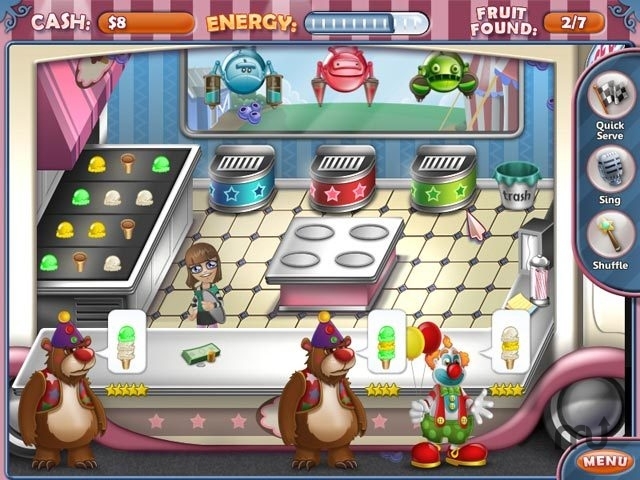 Use your Time Management talents to guide Anna through unique challenges, find deals on delicious ingredients, uncover hidden bonuses, and make the right decisions to boost your business in Ice Cream Craze - Natural Hero! Ice Cream Craze: Natural Hero needs a review. Be the first to review this app and get the discussion started! Ice Cream Craze: Natural Hero needs a rating. Be the first to rate this app and get the discussion started!